Henry Cavill is an English actor who has made the leap to international fame and recognition for his role as Superman in DC films like Man of Steel, Batman v Superman: Dawn of Justice, and Justice League. He is also known for playing one of the lead roles in movies including Tristan & Isolde, Stardust, Blood Creek, Immortals, and Mission: Impossible – Fallout. On television, his portrayal of Charles Brandon in the Showtime series The Tudors from 2007 to 2010 earned him a lot of fame. Henry Cavill was born on May 5, 1983, in Jersey, Channel Islands off the coast of the United Kingdom. He is currently 35 years old. Cavill is the second youngest son of five children to parents Marianne and Colin Cavill. His father belongs to English ancestry and was a stockbroker while his mother worked as a bank secretary. She is of Irish, Scottish and English ancestry. He has four brothers – Charlie Cavill, Simon Cavill, Piers Cavill, and Nik Cavill. Henry went to St. Michael’s Preparatory School in Saint Saviour, Jersey for his formal school education. He later attended Stowe School, a boarding school in Stowe, England. Henry has has dated many women at various point of his life but he has never married once. Starting off, his first known relationship was with British showjumper Ellen Whitaker. The two met at the International Horse Show in Olympia, probably in 2009, and soon after, they fell for each other. The couple got engaged in May 2011, but they called it quits, the following year, which was announced on 18 August, 2012. In 2012, he began dating former martial artist, Gina Carano but that also didn’t last for long, which ended in December 2014, While dating Carano, he had a fling with Kaley Cuoco in 2013. They barely dated for around two weeks from June 30, 2013 to July 11, 2013. In 2015, he was romantically linked up with Tara King but that also didn’t last for long. He was also in a relationship with Susie Redmond in 2007 and Katie Hurst in 2009. In 2017, he dated Lucy Cork. Henry made his acting debut as Thomas Aprea in the 2001 film Laguna. In 2002, he landed a guest starring role in the BBC sitcom The Inspector Lynley Mysteries as Chas Quilter. 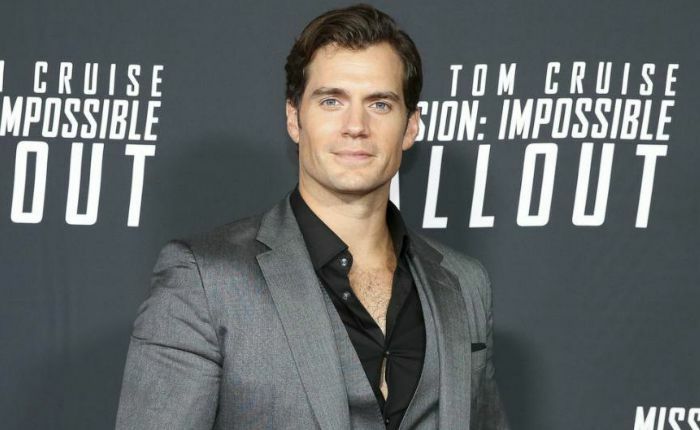 HenryCavill met woth critical acclaim for his portrayal of The First Duke of Suffolk in the TV series The Tudors (2007-2010) and playing the role of Superman in the DC Extended Universe, starring in Man of Steel (2013), Batman v Superman: Dawn of Justice (2016), and Justice League (2017). He was made the face of Dunhill fragrances in 2008. Henry has an estimated net worth of $20 million. The actor currently resides in South Kensington, London. Henry is a multi-linguist who can speak nine different languages including Nepalese, French, Russian, Italian, and German. He is a huge fan of rugby but no longer plays due to some injuries. He is the third British actor to play a superhero role after after Christian Bale, who played Batman, and Andrew Garfield, who played Spiderman. He is the first British actor to depict the character Superman in DC movies. Henry is close friends with actors Luke Evans, Jason Momoa, Luca Calvani, and Armie Hammer. He is a fan of the Kansas City Chiefs. In 2013, he was included in British Glamour magazine’s “World’s Sexiest Men” list, and the same year, he was named “The 100 Sexiest Movie Stars 2013” by Empire magazine. He has an interest in Ancient History, especially in Egyptology, Greek, and Ancient Rome. If he weren’t an actor, he would have joined the armed forces. Henry won the MTV Movie Award for Best Hero for his portrayal of the character of Clark Kent/Superman in‘Man of Steel’ in 2014. In 2018, Cavill started practicing Brazilian jiu-jitsu, having been seen training at Roger Gracie’s academy in London. He is a huge fan of video games. He was too busy playing World of Warcraft! when he received a call from Zack Snyder, the director of Man of Steel (2013).